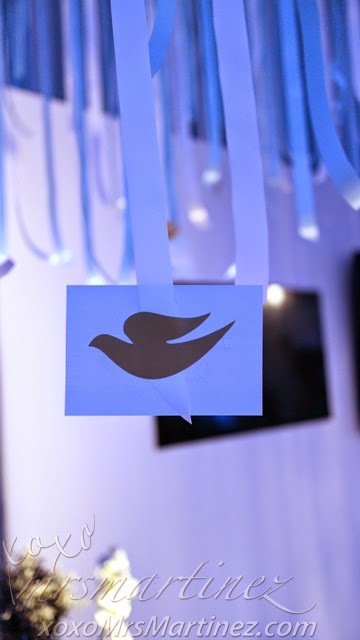 If Dove Summit Day 1 was all about discovering *Real Beauty, Day 2 is all about Real Care. I woke up early and joined some beauty enthusiasts for a morning yoga session. 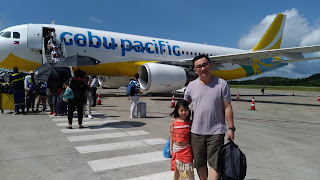 After breakfast at La Veranda and a quick shower, I went to Harbour Tent to discover which Dove products can give Filipinas #RealCare that they deserve. 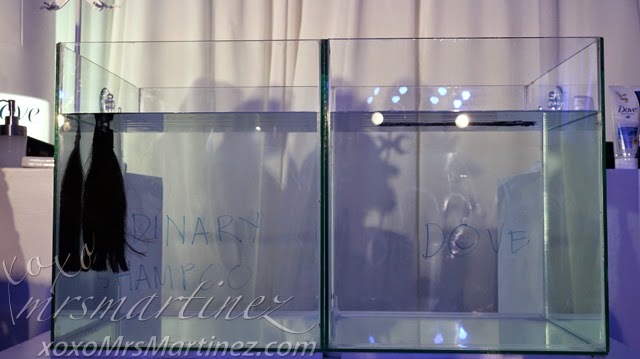 I was excited to see the tent's transformation into three different pavilions- Dove Deos, Dove Skin and Dove Hair. Would you show me your underarms? Raise your hands if you will. Hmm, no takers? I guess you are not confident enough because your underarms are dark and rough due to too much shaving and plucking. Dove Deo promises whiter and smother underarms in just 7 days. Take the 7 day challenge and see the difference yourself! Get your free Dove Deo Original here. Achieve glowing skin easily with Dove Body Wash with Nutrium Moisture. It moisturizes your skin from deep within. Your skin will thank you for loving it. The new Dove body wash nourishes skin better than milk. Dove is known to nourish the skin 3x better than milk because it contains a breakthrough formula called Nutrium Moisture. 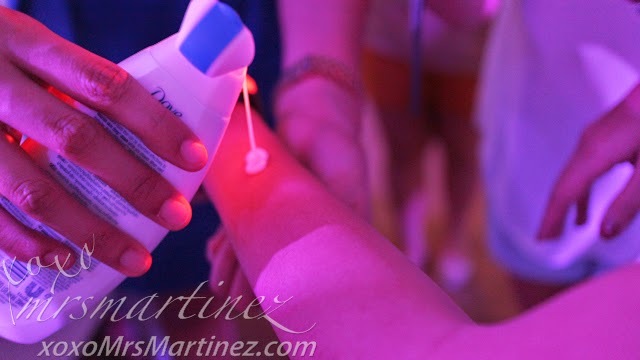 It gently cleanse the skin and provides deep down nourishment leaving skin soft and smooth. Hair coloring, curling, blow drying and yes, even just combing can leave your hair damaged with gaps and holes. The result, damaged hair sinks. The good news is that you can say bye-bye to GAPS. 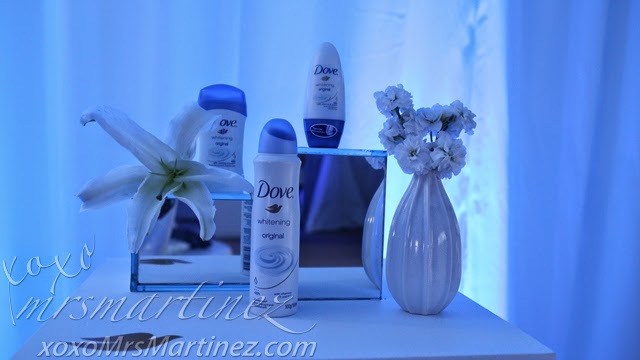 Dove Hair Care products help repair damaged hair at cellular level because of KeratinActives technology. It goes deep into the cellular level to repair these gaps and holes. It nourishes and restores the hair structure, getting damage-free hair inside and out! 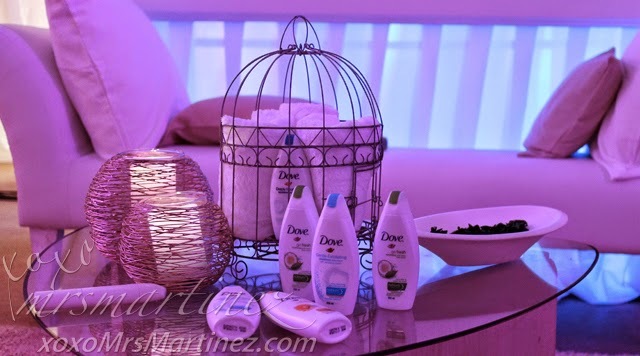 Aside from pampering, Dove loves surprising us. There's this one video of our loved ones that was shown during Day 1 and DH was included. Shumoshowbiz!!! What do you know? 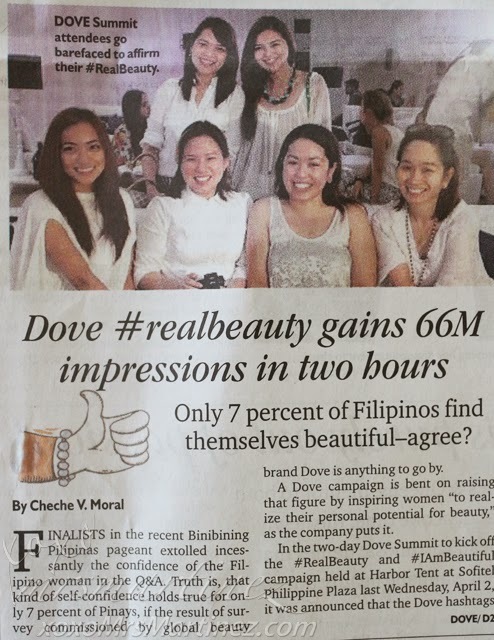 A few days after the 2 Day Dove Summit, my face, along with some beauty bloggers, was seen on Sunday Inquirer. What a nice surprise! 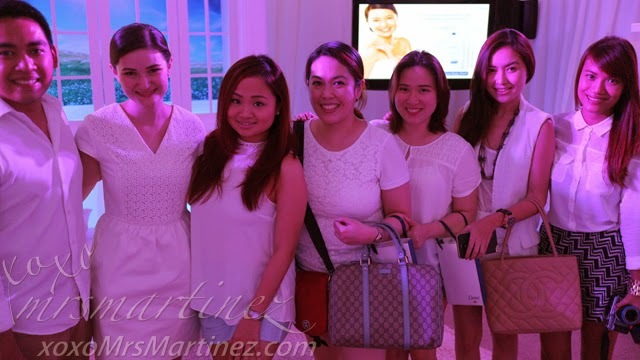 Thanks to Dove and BridgesPR for showing what #RealBeauty and #RealCare is all about. *#RealBeauty gained 66M impressions in just 2 hours... what a feat! Congratulations!